The consultation period to the AQUIND Interconnector is ongoing although the public events have now taken place. Residents are requested to make comment or complete their feedback from and submit before the closing date of 29th April 2019. The consultation documents are available on the AQUIND website. 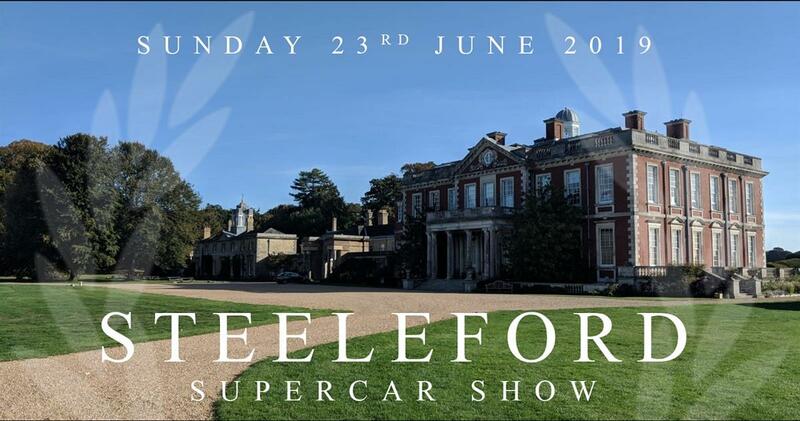 The Steeleford Supercar Show taking place on the 23rd June 2019 will be a showcase of some of the finest exotic cars southern England has to offer. Ranging from super to hyper, classic to contemporary, British to Italian to German, this won’t be a day to miss. Its not all about cars either… We have handpicked a selection of delicious street food outlets for you to feast upon whilst you enjoy the surroundings of Stansted Park. If up market street food isn't quite right for you in a rural area, picnics in the park are very welcome and make a worthy substitute. There's more! Public guests are free to explore the the extensive grounds and maze, garden centre and kids play area . Visitors of the show can also purchase half price tickets to access to Stansted House, which is steeped in history. In 1983, the 10th Earl of Bessborough gave Stansted Park, the Arboretum, his family home and its contents to the public. The state rooms are furnished as though the 10th Earl was still at the home, giving visitors a real sense of the bygone era, the extensive servant quarters below stairs are brought to life by the very knowledgeable and friendly stewards that will guide you through the vibrant history of Stansted Park. Supercar owners are invited to enjoy the house balcony overlooking the site as well as the owners marquee with welcome refreshments and seating to enjoy luxury lunch hampers if ordered. If you would like to display your supercar at the Steeleford Supercar Show please use the Contact Us page at www.steeleford.co.uk Your supercar entry fee will be donated to charity. Of course, please contact us if you have any queries. County Cllr Marge Harvey runs a surgery on the third Thursday of each month at the Blendworth Church Centre from 9.30am. Help is at hand for people living with dementia and memory loss issues. East Hampshire District Council and Petersfield Dementia Friends are hosting a new event aimed at clearing the cloud that can hang over those with dementia sufferers and the people who look after them. Dementia is a growing problem with more and more people being diagnosed, adding to the 1,600 people in East Hampshire with the condition. Already one in six people over the age of 80 are living with dementia and an increasing number of younger people are being diagnosed. The event, set for Friday 24 May, will highlight the broad range of support, advice and services that are available to people with dementia. Janie Millerchip, Senior Community Health and Wellbeing Officer at East Hampshire District Council, said: “It is possible to live well with dementia and it doesn’t mean that your normal life has to stop. “If you take steps early and plan ahead for your future you can continue to live comfortably and happily for longer, it also makes things easier for those around you. “Our event is perfect for anyone that has recently been diagnosed with dementia and is unsure where to go now. If you look after a family member or friend who is experiencing memory loss issues or has been diagnosed with dementia, come along and find out what help there is for you out there. The festival will be held in Petersfield Festival Hall, Heath Road, and include stalls, experts, charities, presentations and more. Jeff Williams, Dementia Friends Champion, said: “When you hear that dementia diagnosis it can be daunting and bewildering. You don’t know what to do or where to go for help. But there is lots of support out there for people and lots of things you can do to maintain the quality of life for someone with dementia. For more information on the festival contact Janie Millerchip, Senior Community Health and Wellbeing Officer at East Hampshire District Council, on 01730 234097 or Janie.millerchip@easthants.gov.uk or Jeff Williams, Dementia Friends Champion, on 07849 195702.